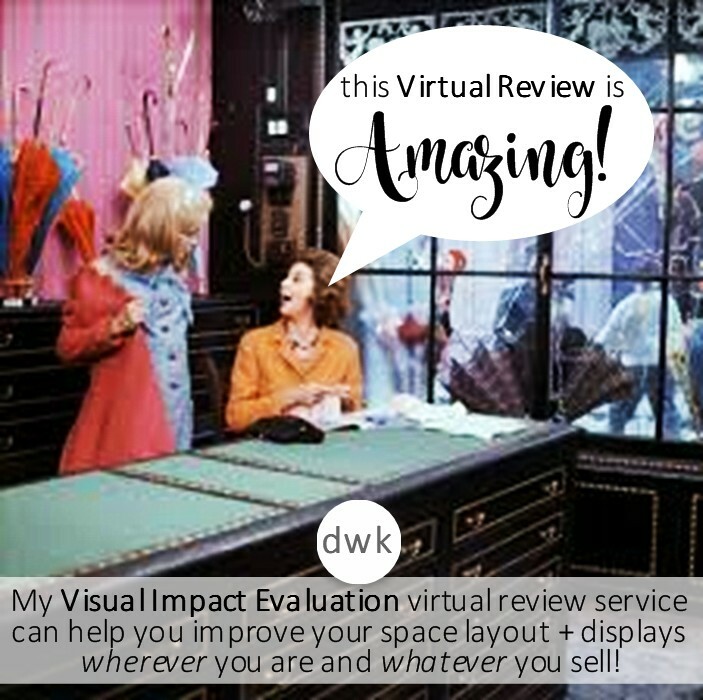 I've been an active professional retail stylist and designer for over 40 years. My start in this field came at the inquisitive age of 13, when I began creating displays in the window of the Howard Johnson's Hotel gift shop across the street from Disneyland. My Mom was the shop manager, and she let me loose on the large window facing the lobby... and that began my journey into visual merchandising. My resume includes freelance design & styling work as well as employment with several renowned retailers - one is the Walt Disney Company at the Disneyland Resort in Anaheim, California, where i served as a Visual Merchandising Specialist. 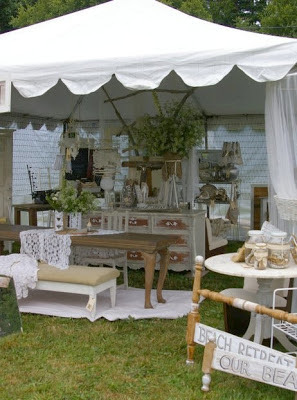 With a focus on designing creative spaces for artists, makers, sellers and vendors, my visual styling and store design work has received recognition and won awards for several independent business clients and employers, including retailers in the wine, antique/vintage, fashion, home decor, gift, garden, and art markets. 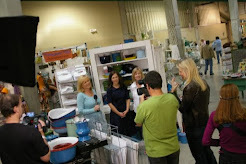 I have contributed to seminars and publications in the retail/wholesale and DIY lifestyle/home decor industries since 2002. Through space design, visual merchandising, and thoughtful brand-centric design choices, I help my clients 'Tell Their Own Story' in their environment - enhancing customer experiences while increasing loyalty and sales. I currently provide freelance retail design services to independent artisans and businesses across the country, assisting them in creating successful visual impact in their stores, show booths, studios, and creative spaces. 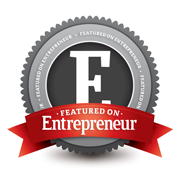 The space and display designs that I have created for trade show booths have won awards, and articles that I have written are published in top retail industry publications, including being a quoted ‘retail expert’ in magazines and web sites (Entrepreneur Magazine is one of them!). My high-energy live presentations have filled seminar rooms to record-breaking capacity across the country, and in 2007 I produced a six-video series for the (now defunct) Gift + Home Channel. Five of the videos are hosted on YOUTube. One of my most popular published articles is ‘The Art of Display’, which appeared in Country Business Magazine in 2005. 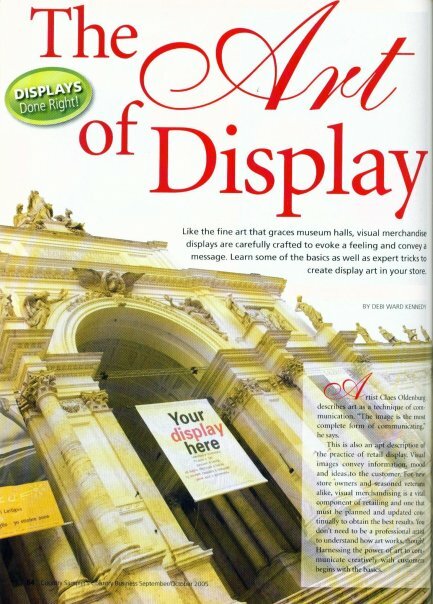 Comparing the methods of display in a retail store to the way art is displayed in museums and galleries, this article led to a seminar presentation with similar content, which met with rave reviews. 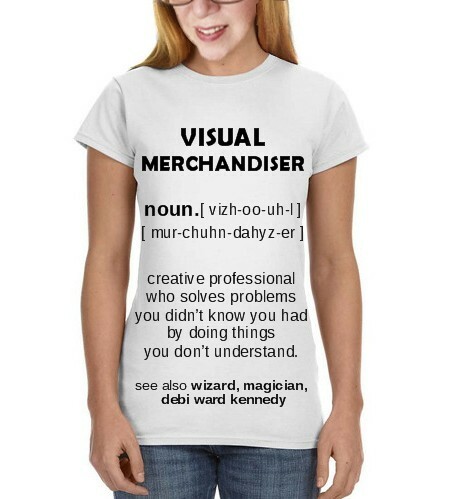 The concept is about knowing how to apply the visual principles of art to retail merchandising: It’s a simple way for shop owners to see why it’s important to plan for product presentation.These concepts have existed and worked successfully for decades – why not learn them, personalize them, and capitalize on them? That includes a store, product displays, and an entire business brand. I frequently describe my core service this way: I help people visualize their stores and the experience that their customers will have in those stores – and then I give them the tools to make it a reality. Throughout my life, I've studied both the Walt Disney Company and other benchmarks in retail, and using their successful methodology to assist retailers in creating the same ‘experiential’ shopping environment. Their influence drives my design philosophy:To begin with the process of design is to follow in the footsteps of some very wise and forward-thinking businessmen and women, like CoCo Chanel and Walt Disney. Walt drew the visual aspects of Disneyland long before he had a business plan – and I love that! If you can’t imagine something first, you can’t create it in reality. My clients see immediate results and increased revenues following integration of effective design concepts to their business environments. By providing expertise and resources, I can guide retailers in choosing the right materials, elements, styles, words, and images - effectively mentoring their creative thinking. As an artist, I enjoy the act of creation. As a visual designer and consultant, I enjoy helping clients create their businesses from a visual starting point, maximizing their visual impact potential. The most recent addition to my service roster is 'Artful Makeovers' - where I re-design studios, workshops, classrooms, and other creative spaces for makers, artists, and crafters. Creating is a business, and you deserve an efficient, effective and inspiring space to work in!